TALL ship cruise enthusiasts will trace the legendary voyages of the Vikings to 37 historic ports in Scandinavia and the Baltic next year. Between May and August, the four-masted luxury clipper ship Star Flyer will follow in the wake of the fearsome seafaring warriors who raided wide areas of Europe, Asia and North Atlantic islands between the late 8th and 11th centuries. Countries on Star Flyer's first northern Europe program include The Netherlands, Belgium, Germany, Norway, Denmark, Poland, Sweden and Finland. Some of ports are tiny gems, unable to be accessed by big cruise liners. The inaugural five-night cruise leaves Southampton for Hamburg on May 5 to launch the season of 18 cruises over mainly seven nights. 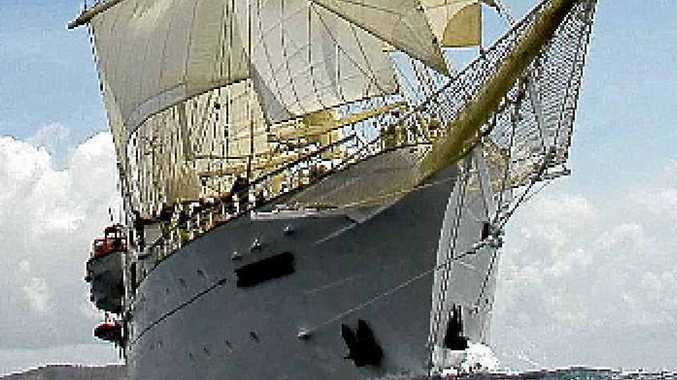 An early highlight will be participation in sailing parades with tall ships in Kiel, Hamburg and Rostock. Fares for seven-night cruises range from $3319 per person. Visit Creative Cruising or Star Clippers.